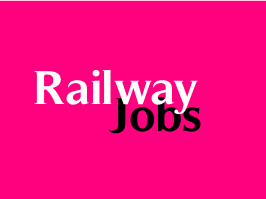 Railway Recruitment Cell, North Eastern Railway (NER) Gorakhpur (Uttar Pradesh) invites applications from eligible Indian Citizens for recruitment of Group 'C' posts against Cultural Quota for the Year 2015-16. The last date for receipt of applications is 6th December 2015. Age Limit: 18 to 32 Years as on 01/01/2016. Age relaxations for SC/ST Candidates - 05 years, OBC Candidates - 03 years. For Technician III -> Matriculation or its equivalent with ITI in relevant trade ( Recognised by SCVT/NCVT). For other posts -> 12th or its equivalent with 50% marks & in aggregate. The compulsion of 50% marks in aggregate will not be insisted upon in case of SC/ST/Ex-Serviceman candidates. Cultural Qualification: Possession of Degree/ Diploma/ Certificate in music (Vocal) from Govt recognised institute. Desirable Qualification: (a) Experience in the field and performance given on AIR/ Doordarshan etc. (b) Prizes won at National level. Assessment of talent in the relevant field on Testimonial/Prize etc. Examination Fee: ₹ 100/- in the form of Indian Postal Orders (IPO), drawn in favour of Senior Personnel Officer, RRC N.E. Railway, payable at Gorakhpur. No fee for SC / ST, Ex-Servicemen, PwD, Women, Economically Backward Classes and Minority Candidates. How To Apply: Application in the prescribed format, complete in all respect along with all the enclosures should be sent by ordinary post only to SENIOR PERSONAL OFFICER, RAILWAY RECRUITMENT CELL, NORTH EASTERN RAILWAY, CCM ANNEXE BUILDING, RAILWAY ROAD NO. 14, GORAKHPUR ( U.P)-273012 on or before 06/12/2015 till 18:00 Hours (For Andaman Nikobar, Lakshyadeep Islands – 21/12/2015 till 18:00 Hours).